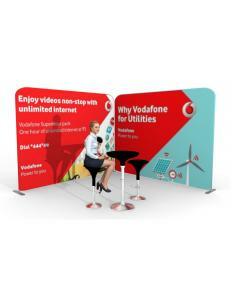 The portable exhibition stand is just under 5.5m wide and stands just under 2.3 metres tall. 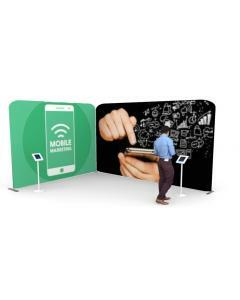 It is made up of two 2m wide straight fabric stands and one 1.5m straight fabric stand that are joined together using a joining foot and connecting clamps. 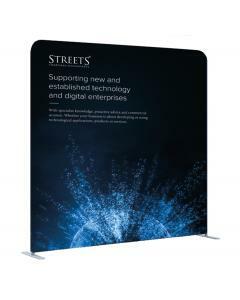 The 5.5m wide fabric display stand is further enhanced with a product display. 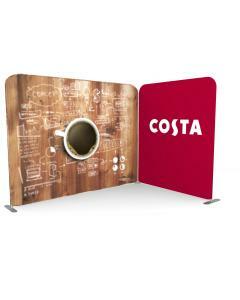 The product display has three shelves that can be positioned inside or outside the frame. 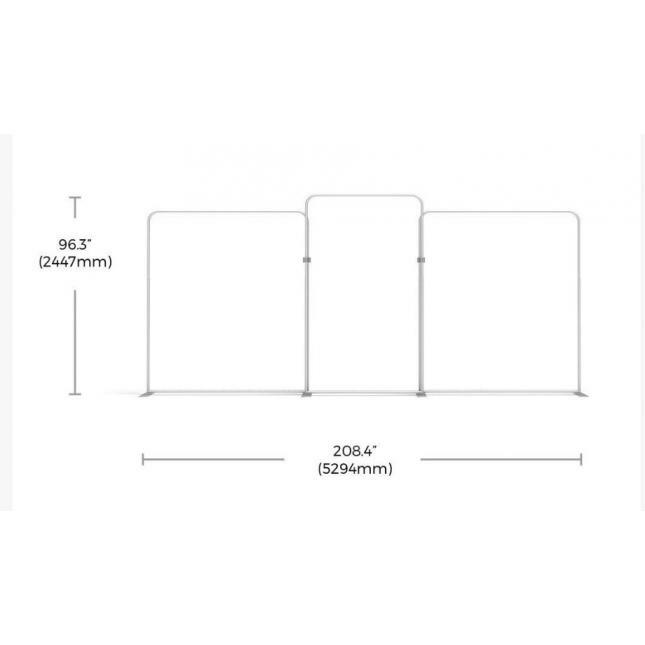 The three back walls are covered in a seamless fabric sock that is simply pulled over the framework and zipped closed along the bottom of the frame. 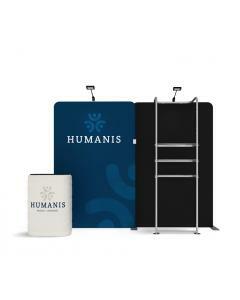 To complete the display the stand comes with two wheeled case that convert into a counters with fabric graphic wraps and counter top. 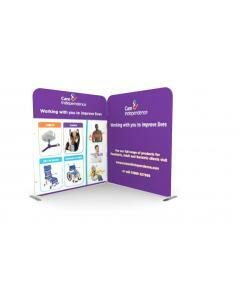 The cases are ideal for transporting stand components alongside the carry bags included with this kit. 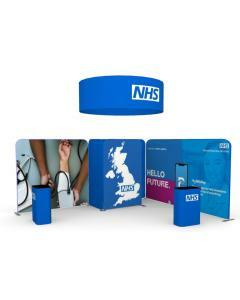 Once converted to a counter the case is the ideal reception counter, workstation or product display plinth. 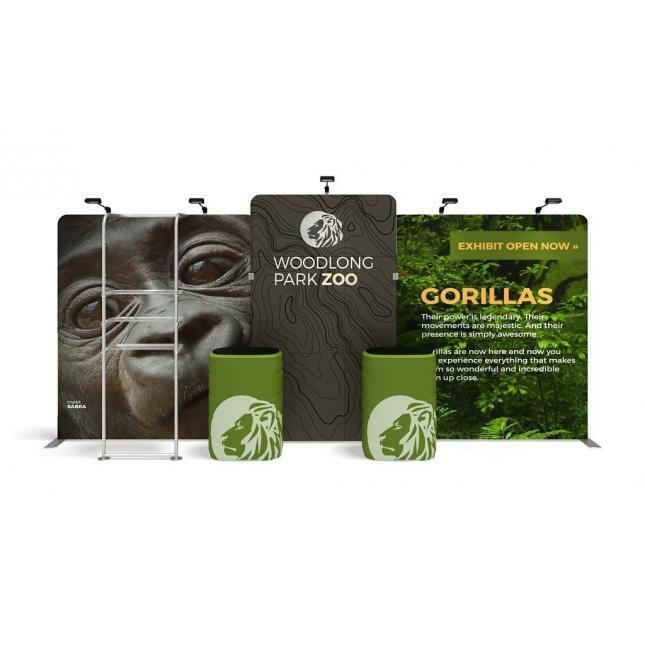 The 5.5m Merchandiser Fabric Display Stand is ideal as a free standing exhibition stand for events, shopping centres or showrooms. 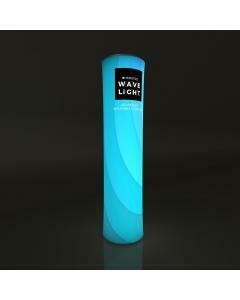 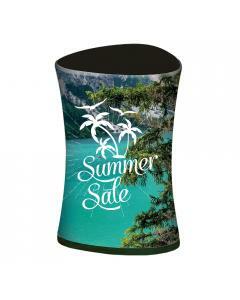 It is also popular as a point of sale display in the retail industry. 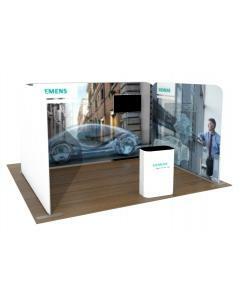 The modular exhibition stand kit is extremely portable and breaks down to fit within the wheeled case and carry bags (included). 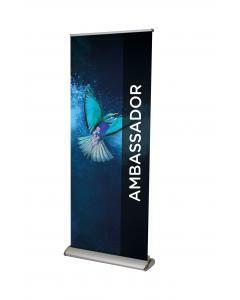 The fabric graphics are printed using the dye sublimation printing technique to ensure a long lasting and high quality print. 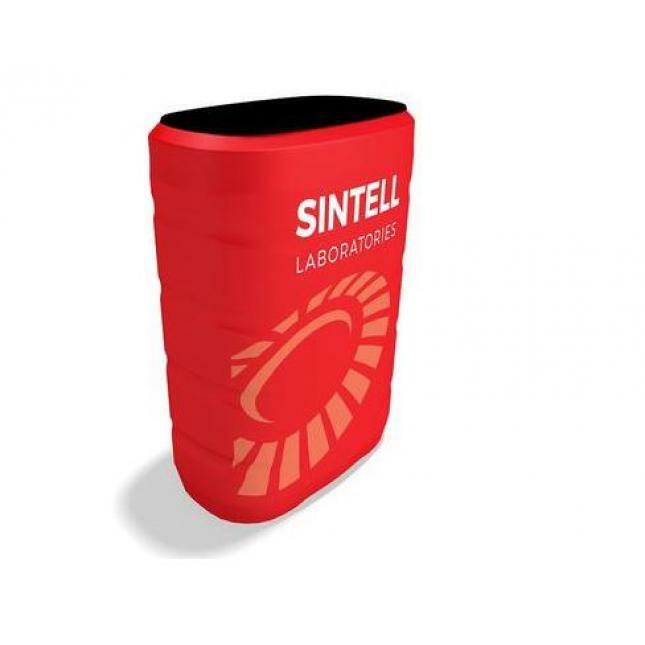 They are so durable that they can be washed at low temperatures. 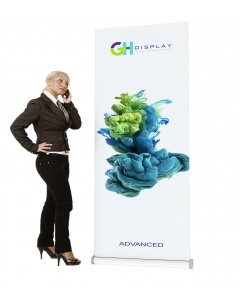 Replacement fabric graphics can be purchased when it is time to refresh your exhibition stand. 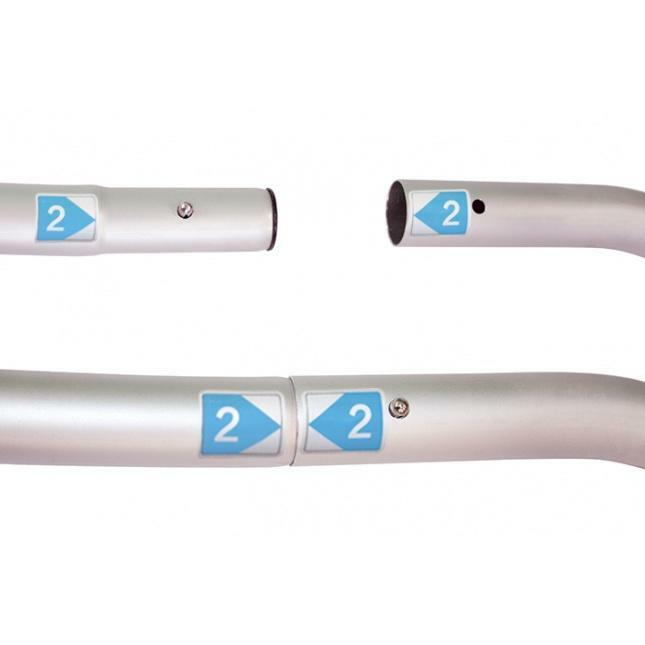 The framework is constructed from strong 32mm tubular aluminium that push fits together. 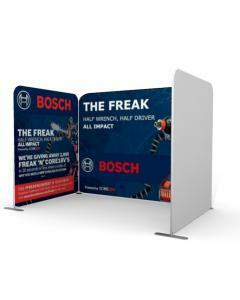 The product display shelf can be used with either wall making this a versatile exhibition stand. 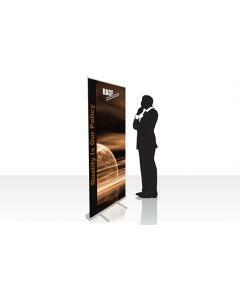 Why choose the 5.5m Merchandiser Fabric Exhibition Stand? 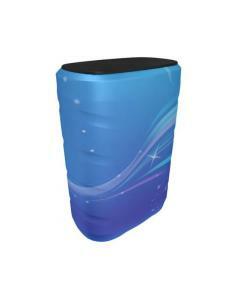 As standard supplied with wheeled case and carry bags. 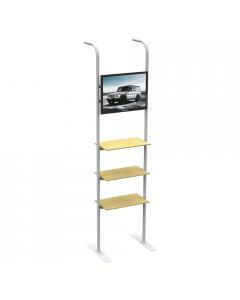 Product display shelves: The shelves are made from acrylic and have a load bearing weight of 4kg evenly spread. 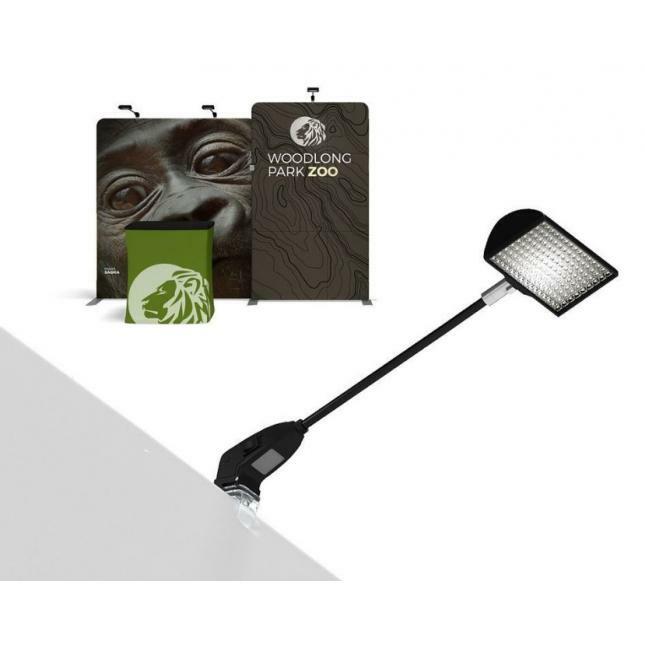 Bags: Carry bags are included for the exhibition stand framework and a case for the counter. 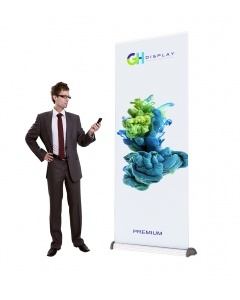 Warranty: Hardware comes with a lifetime guarantee. 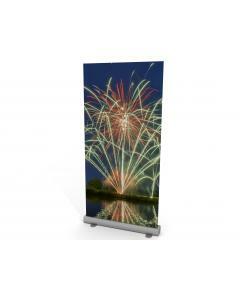 Fabric graphics can be added to the product display upon request. 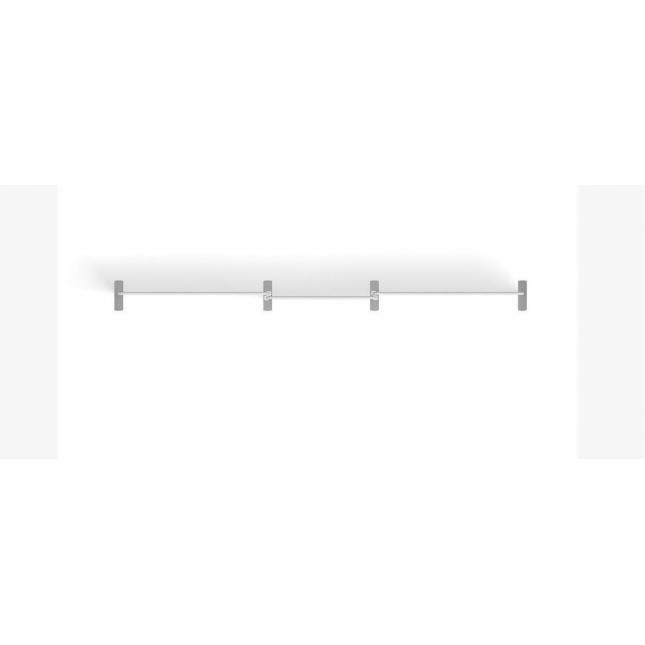 Either a full graphic or half graphic. 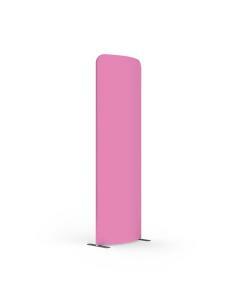 Call us on 01733 570222.